Plus notes on the pivotal volume 6. The July 12, 1843 revelation was the last of Joseph Smith’s formal written revelations and it was a watershed in Mormonism. 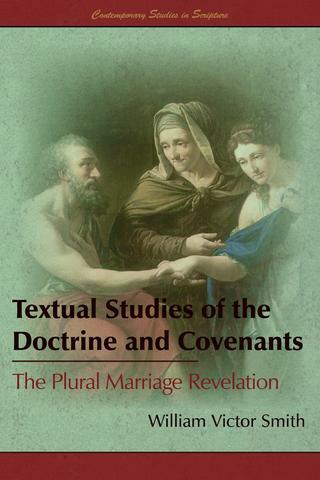 Textual Studies of the Doctrine and Covenants: The Plural Marriage Revelation, constitutes a study of the text of that revelation, its genetic profile as an endpoint for a number of trajectories in Mormon thought, liturgy, and priestly cosmology, together with a brief exploration of its historical influence and interpretation. Here’s the planned cover. It’s Abraham, Sarah, and Hagar (my original title was: The Restoration of Hagar: Doctrine and Covenants 132, or something of the sort. My general plan follows from the shift in scripture studies in the academy over the last few decades. 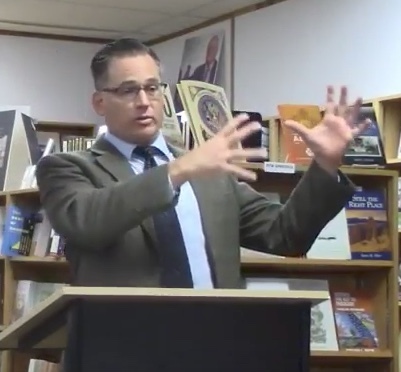 Instead of appealing just to the historical-critical method, I consider the evolving influence and interpretation of the revelation over time. Peter Martens’s work on Origen is an example (Origen and Scripture: The Contours of the Exegetical Life (Oxford Early Christian Studies). In other news, I’ve been working with the Joseph Smith sermon book, the current working title is this: Every Word Seasoned with Grace: A Textual Study of the Funeral Sermons of Joseph Smith. I like the title for its reference to the text of one of Smith’s sermons that in turn depends on one of Paul’s letters (Col. 4:6).